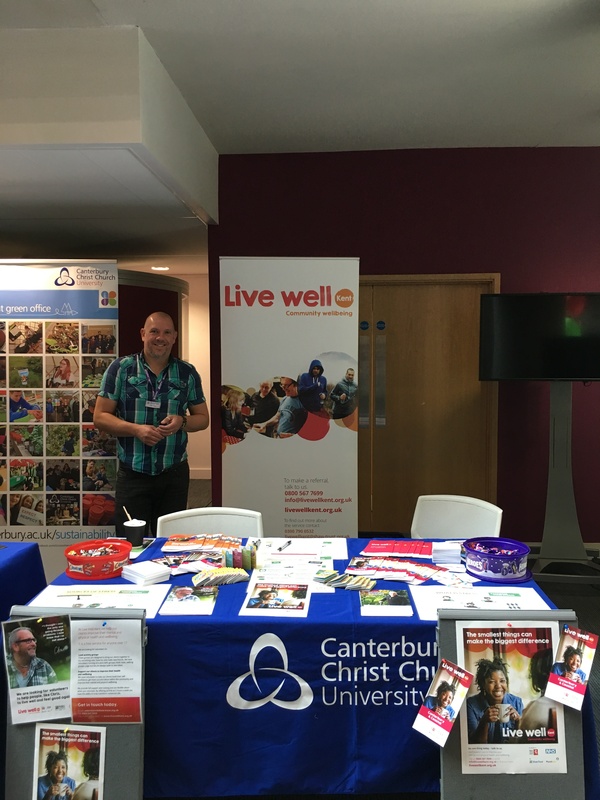 Staff from Live Well Kent had a very successful day at the CCCU Fresher’s Welcome Event last weekend to promote the service to the new students and to sign up any willing volunteers onto LWK programme. They spoke to 250 students over the course of the 2 days and signed up 50 to be LWK Volunteers. There is a great need to support young people and especially students, some of whom have many needs that affect their mental health and wellbeing.